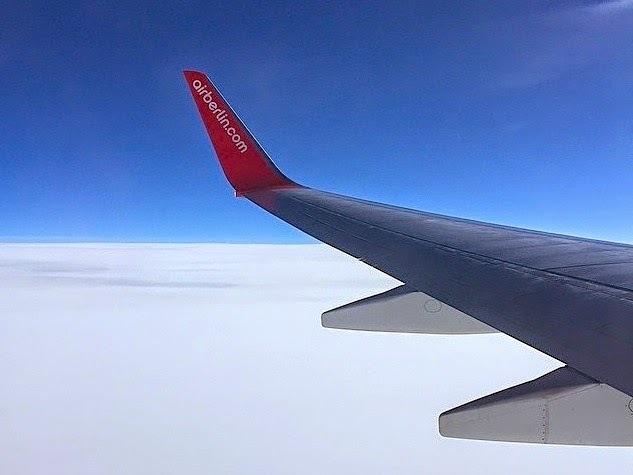 The most recent time I flew with Air Berlin was when Nick and I went to Berlin for Christmas. We flew Stockholm-Berlin-Stockholm, and overall had very pleasant flights. 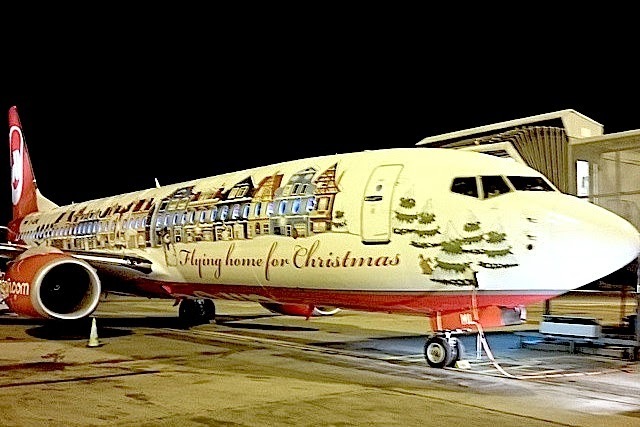 A very nice surprise when we boarded the plane was to see that the plane was decorated for Christmas, with the message 'flying home for Christmas' on the plane, as well as each of the seat head covers. I felt it was a very nice touch for the holiday, especially for travelers who were taking late flights- such as the one Nick and I took, due to arrive in Stockholm at 7 PM. None! With Air Berlin, you get what you pay for. Overall, I will most likely definitely be flying Air Berlin again, especially for short haul flights. It is usually a much cheaper option than some of the larger airlines, and has been perfectly fine in my experience. While I have had slightly delayed flights, I have had this with every airline. The seats are just as comfortable as any other carrier, which is why I state that you get what you pay for. What about you? Are there any airlines, especially discount airlines, that you have had either great or terrible experiences with? I've been tempted to book with them before, so this is good to know. Thanks for the review!